← LIFT09: Where did the future go? Ramesh Srinivasan and Juliana Rotich spoke about how technologies have changed collective action and solidarity over the past 15 years. Ramesh recalled the story of an Indian fishermen who was far out at sea when the Sumatra seaquake launched a tidal wave of Biblical proportions. He had never seen anything like this in his lifetime and used his mobile phone to warn family and friends near the shore and thereby saved many lives. He himself was far enough from the coastline and survived. In another project, Ramesh explained how the website “Public Grievances & Redressal” designed by the eGovernments Foundation allows Indian citizens to file pubic complaints. Complaints are posted online and only removed when both the plaintiff and designated government official agree that the issue has been resolved. The length of time a complaint remains on the website impacts future funding for the respective branch of government. Take Google, for example. While simplicity is a hallmark of the company’s successful websystems, if you Google “Africa” the first link directly relevant to Africa appears only after the second page. This is worrying since the vast majority of web users hardly browse beyond the first page of Google results. Search online is no longer about using the intellectual expanse of the mind but about what what you can find. 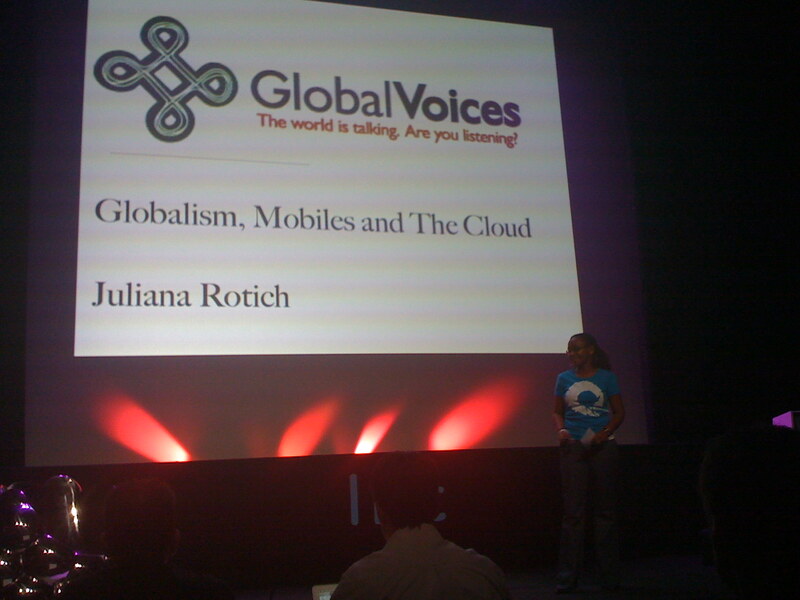 My friend and colleague Juliana presented her work with Global Voices and Ushahidi. She spoke about globalism, mobile technology and the Cloud from the perspective of Africa, which was particularly refreshing. The mobile phone is becoming increasingly important for Africa and, in my opinion, Africa is becoming more important for the world, For example, some 80% of the BBC‘s mobile traffic originates from Africa. Juliana also pointed out how Kenyans now use a free text message service that allows users low on credit to text another person so they can call them back, something called “flashing” or “beeping.” The only catch is that the text comes with a short ad. 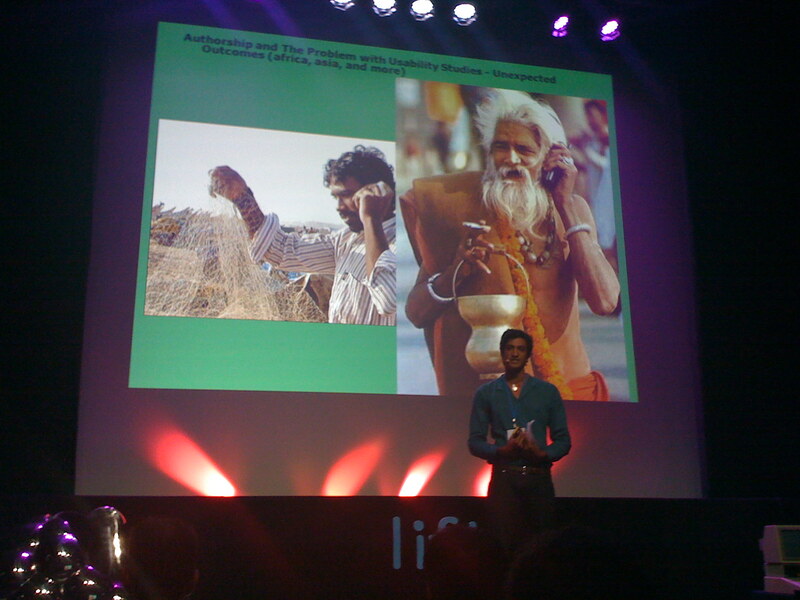 This entry was posted in Uncategorized and tagged Global Voices, LIFT09, Ushahidi. Bookmark the permalink.